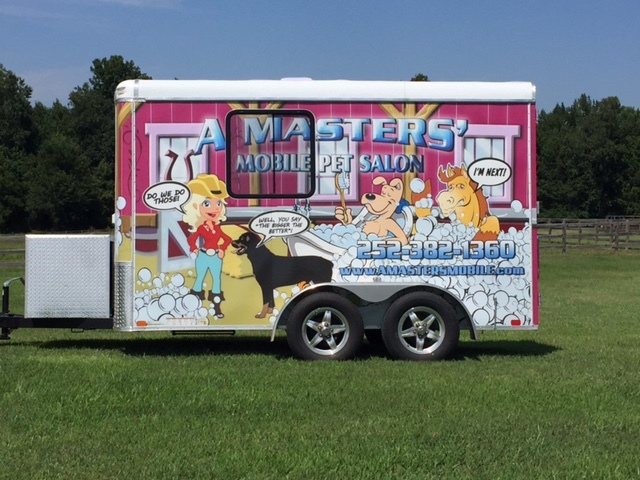 We are a full service MOBILE Grooming facility. We can bathe pets inside our Mobile unit or if they are too large we can wash them outside our mobile unit still using our own water/conditioning Prima System. We come to your home, work, or where ever your favorite pet might be! The only thing we need when we get to you, is a place to hook up for electricity. Any outside outlet will do. In the Winter time we will run a generator for heat and will not need to plug in. Feel free to check us out on FACEBOOK! No Haircut appointments will be made after 4pm. Any dogs that take over 2 hours will be charged a $25 fee per hour past the 2 hour mark. ALL DOODLES are required a 4 week schedule to be part of our Mobile Masters Clientele. The BEST NEWS is that we are working on expanding! 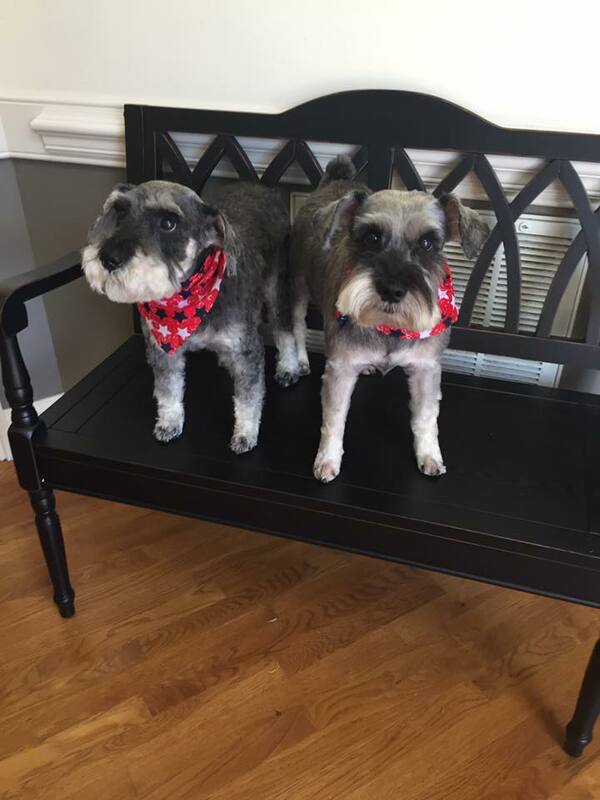 We are introducing my husband, Daniel Barmer, as our newest mobile Groomer! We hope to get him in his own Mobile Unit early this year. He will be taking on new and current Bath dogs which will give me some openings for new Haircut dogs. Daniel has been working side by side with me for 6 months and He will give your dog the exact same attention to detail that I do. He is also current on his CPR and First Aid training skills. ~Current picture of your pet and your Vet information. And when we have a cancellation IN YOUR AREA - we will contact you to see if you are still interested in our services. Thank you for your patience! We are using a brand new mobile unit with state of the art grooming equipment that will give your pet the ultimate de-shedding and bathing experience. We are based out of Red Oak, North Carolina and service within 15 miles of our location.